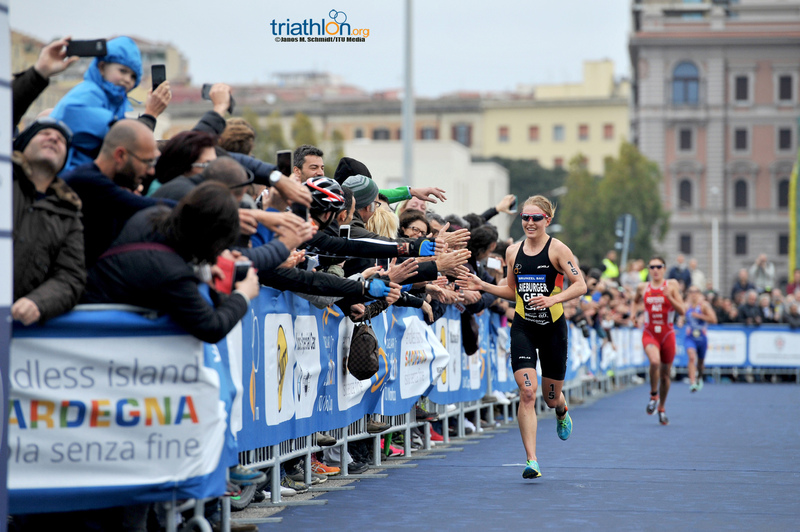 It was a day of firsts in the women’s race as the top two ladies to cross the finish line stood atop their first World Cup race in Cagliari, Italy on Sunday. 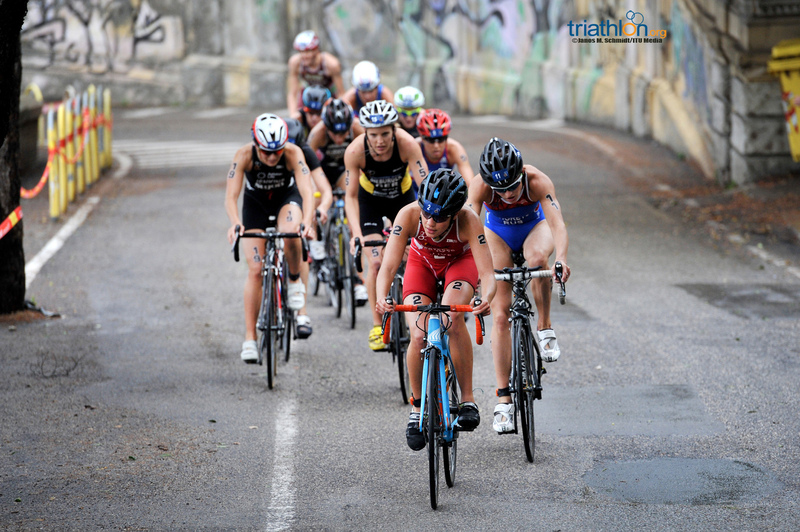 Great Britain’s India Lee joined the illustrious history of strong triathletes when she executed an expertly timed break on the bike to spin her way to the win. 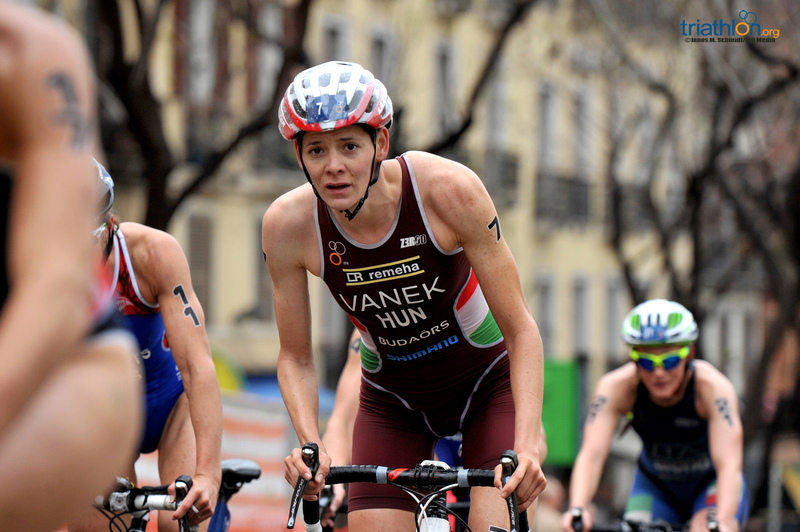 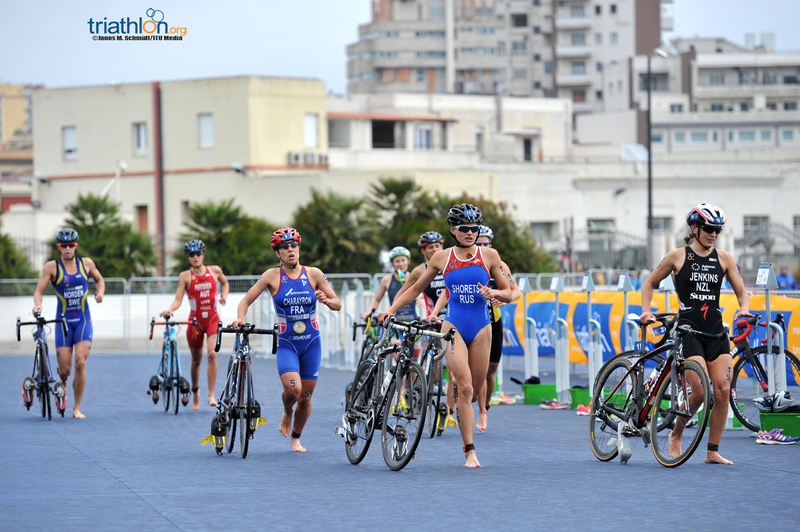 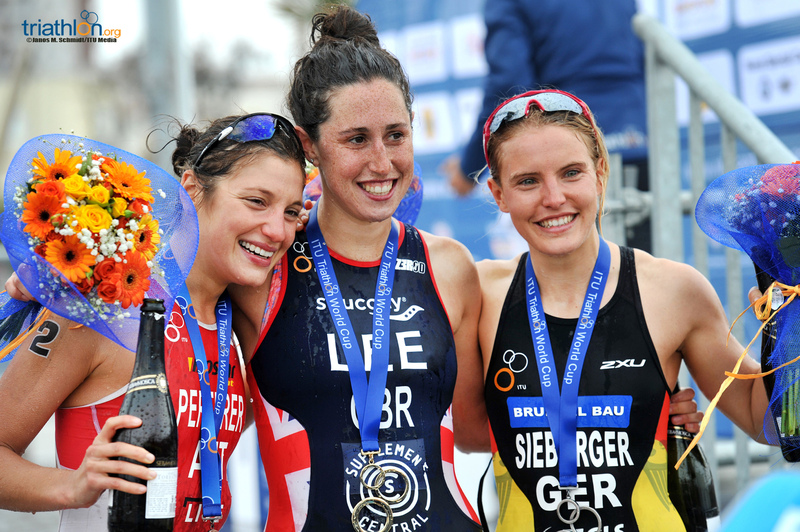 It was a day of firsts in the women’s Cagliari ITU Triathlon World Cup race as the top two ladies to cross the finish line stood on their first-ever World Cup podiums. 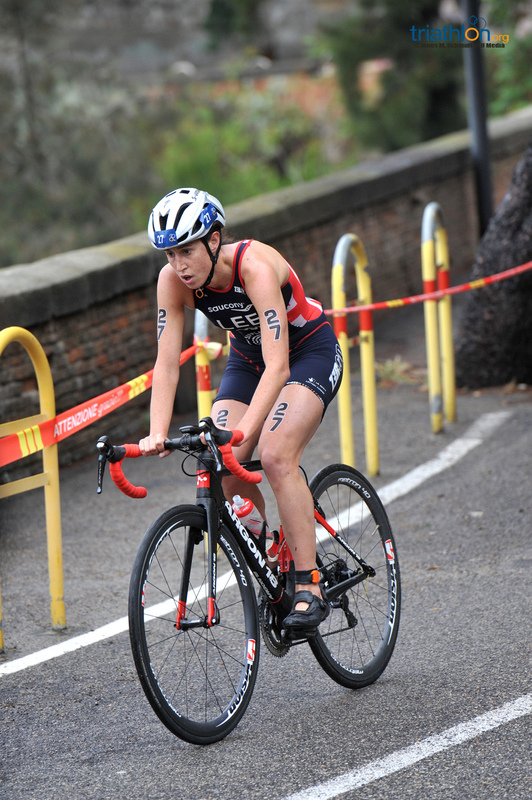 India Lee joined Great Britain’s illustrious history of winning triathletes when she executed an expertly-timed break on the bike to spin her way to gold. 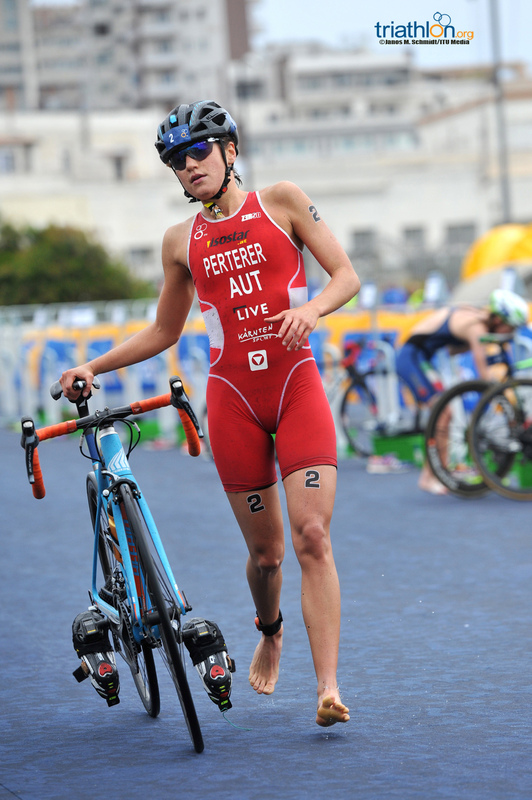 Germany’s Lisa Sieburger secured second after fighting her way back into the race on a challenging bike course, while bronze went to Austria’s Lisa Perterer. 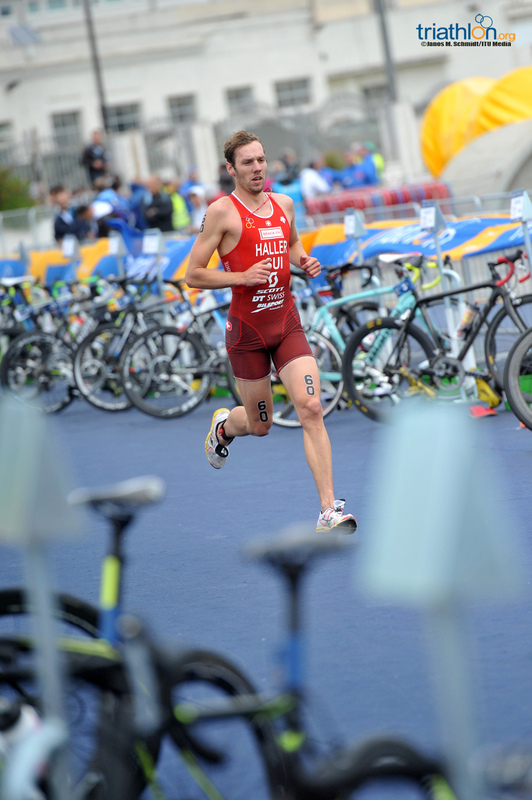 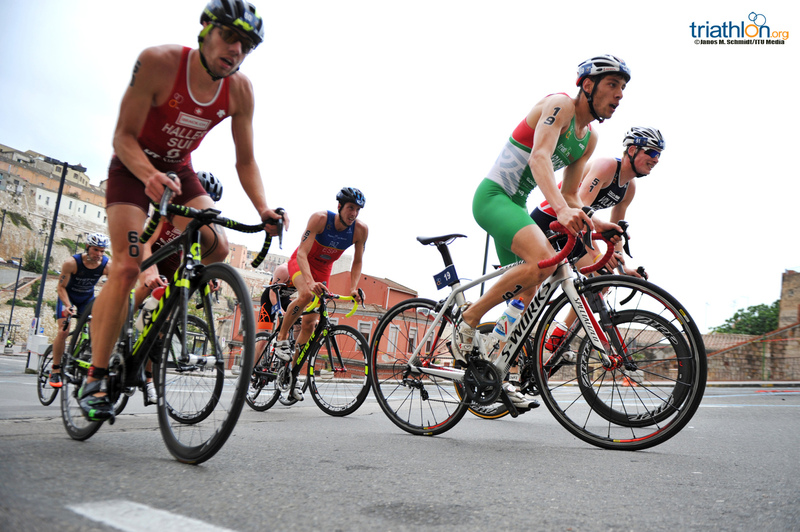 A sprint-distance race with a leg-crushing bike course that offered critical final Olympic qualifying points, pressure was high in Cagliari. 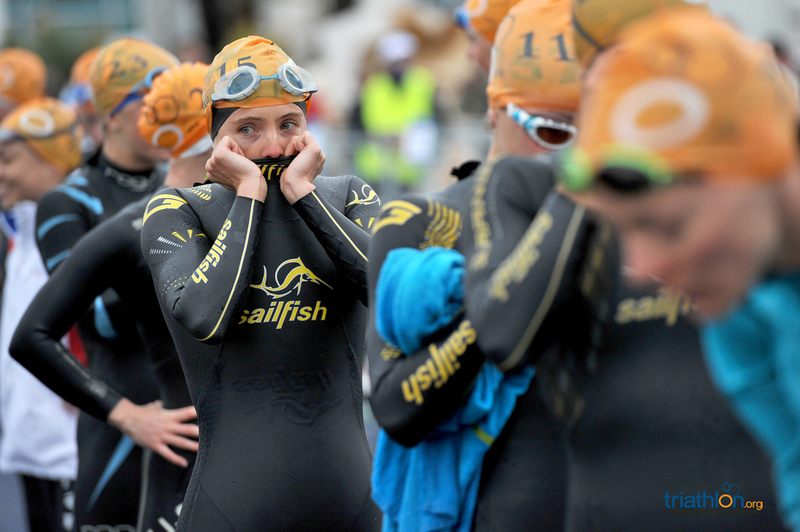 To add to jittery nerves, strong winds and wet roads greeted the women as they set out in the morning on a tough and technical course. 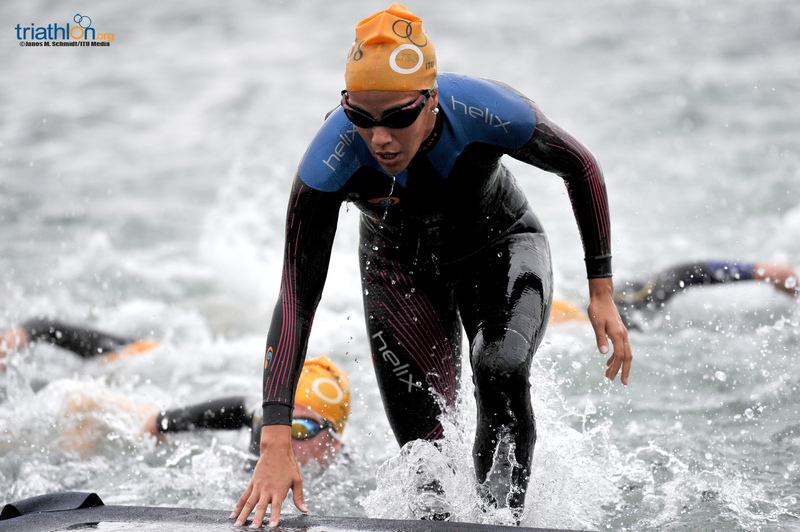 Carolina Routier (ESP) took advantage of her strong swim skills to set the pace on the one-lap 750m choppy swim, exiting the water with a five-second lead over the Netherlands Maya Kingma. 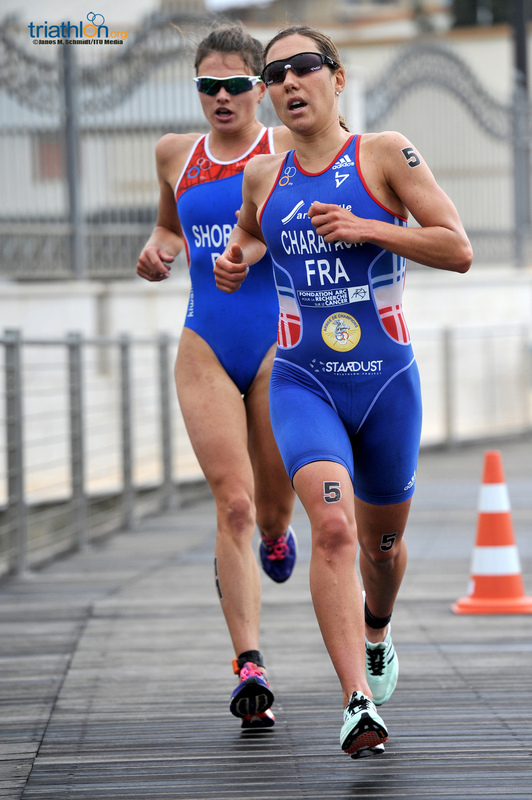 The pair scorched through the long first transition, with Vendula Frintova (CZE) on their heels 10 seconds behind them. 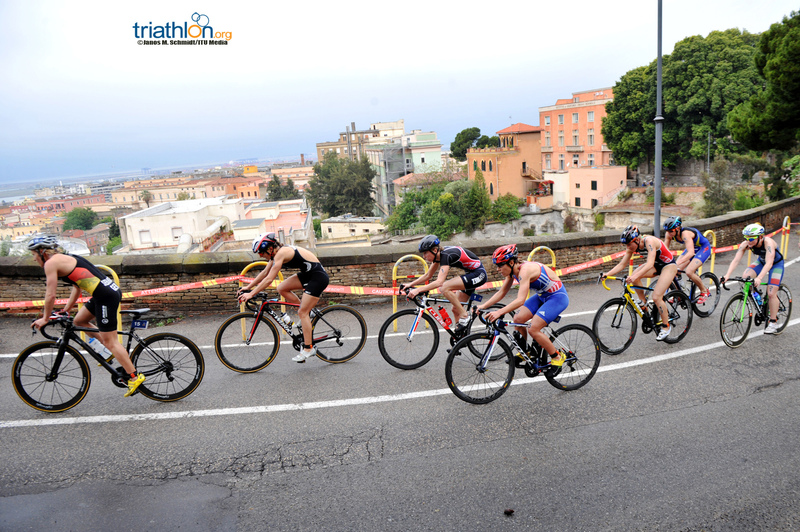 Frintova was the start of a long train that saw the majority of the women’s field string out in a 20-second line. 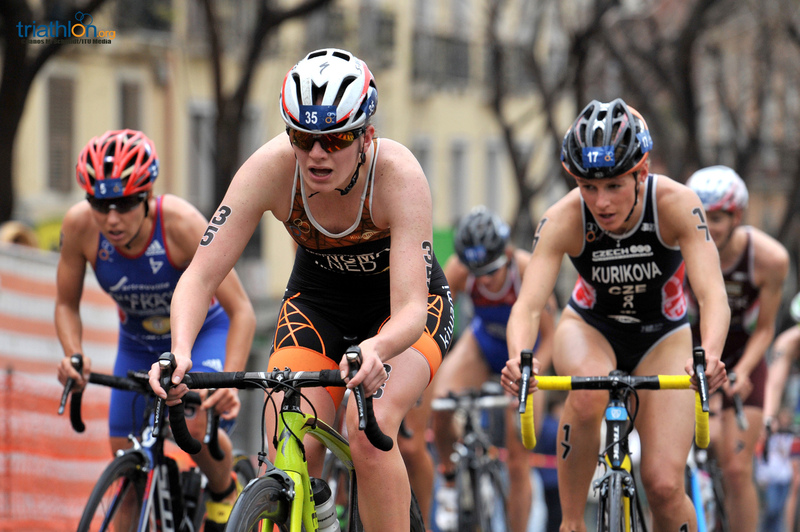 By the end of the first turn up heartbreak hill, a group of 15 women had come together with the addition of Lisa Norden (SWE), Georgia Taylor-Brown (GBR), and Lee to the mix. 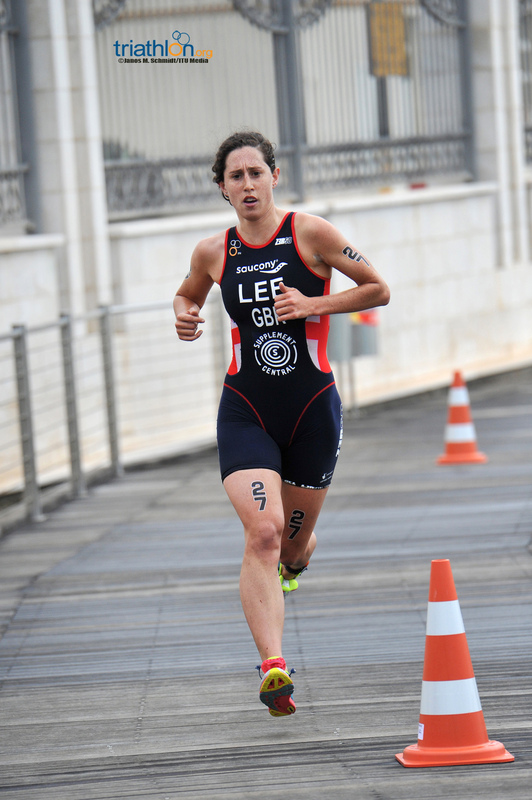 On the third of four laps, Lee laid out a pace that nobody could match as she broke away from the group. 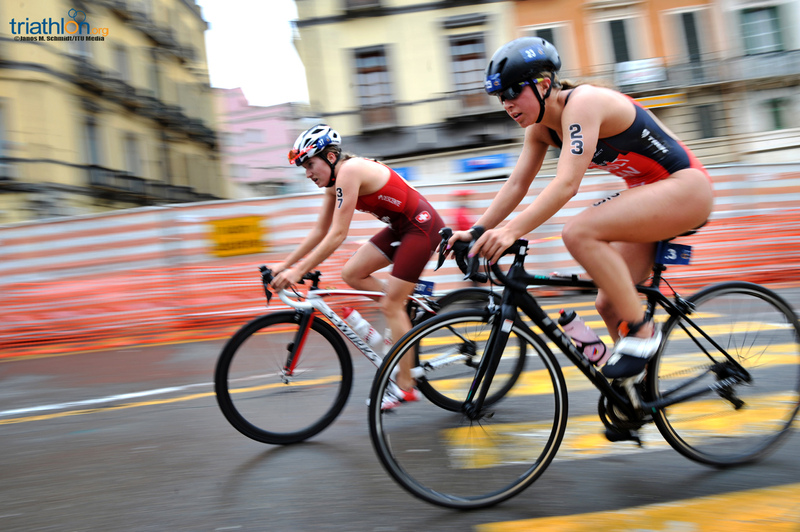 Teammate Taylor-Brown attempted to go with her, while the chase followed 25 seconds behind, but on the bell lap it was only Lee who managed to keep the chase at bay while Taylor-Brown fell back to the large pack. 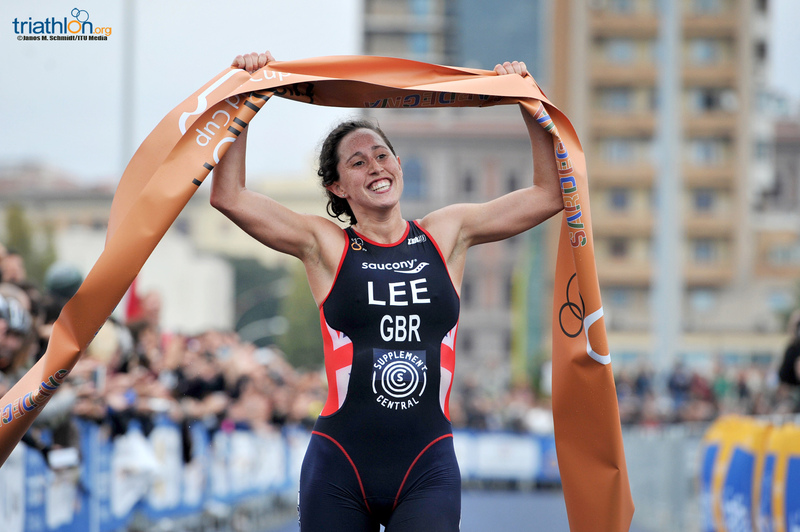 From there, it was no stopping Lee, as she dropped off her bike and shot out to the run. 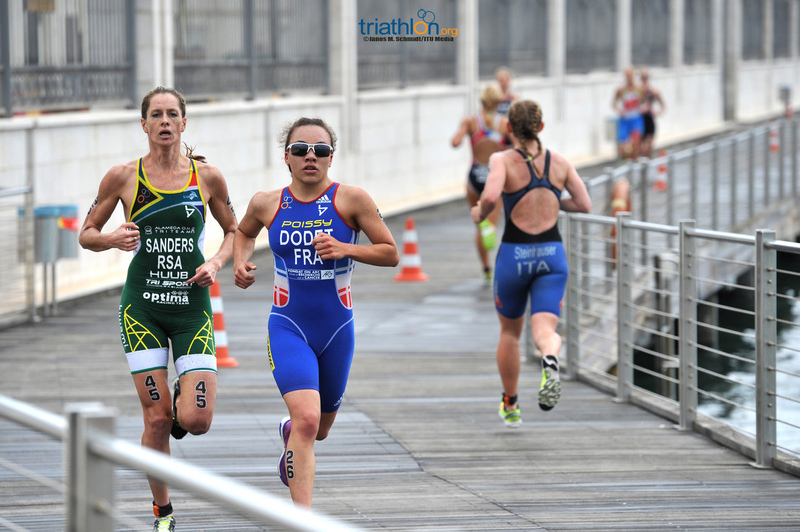 Despite running a few extra meters on the back of the first lap, which saw her lead dwindle from from 42 seconds to 37, the mistake wasn’t enough to cause her the win. 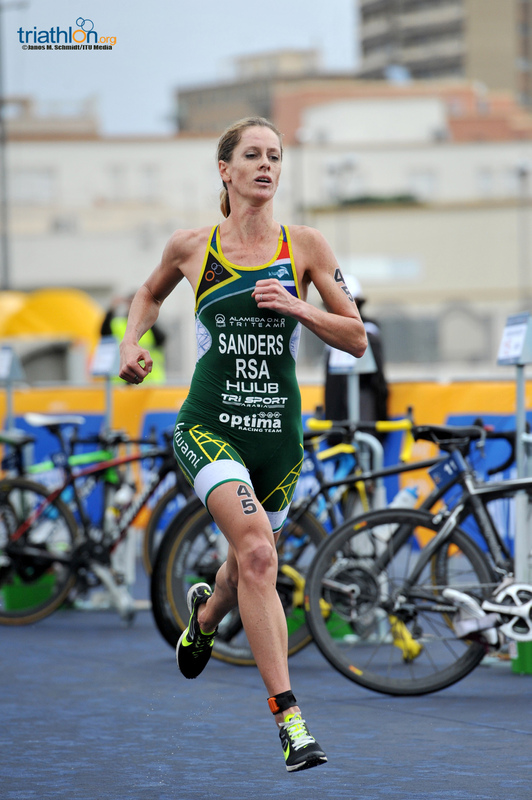 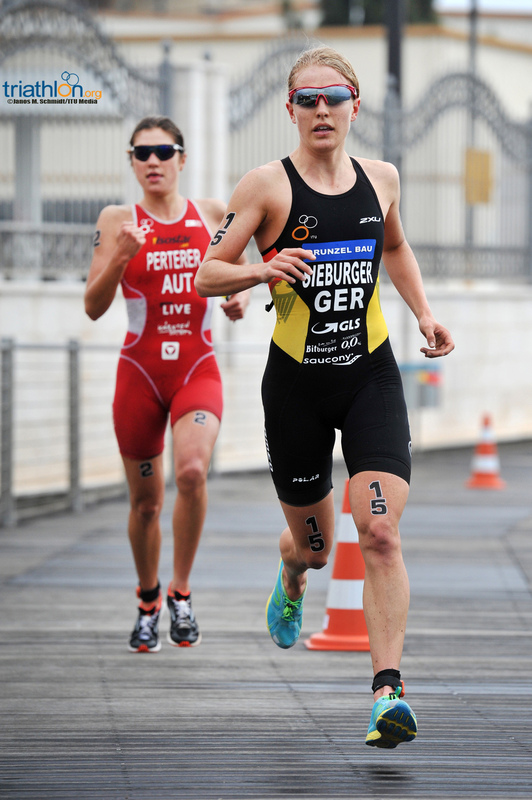 While Sieburger was closing in behind her, there wasn’t enough room over the 5km, three-lap course to overtake Lee. 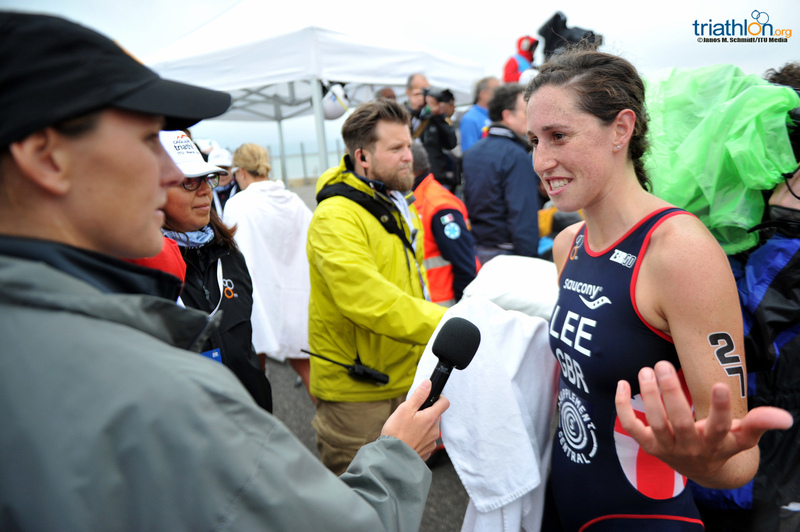 With just three years’ triathlon experience to her name, Lee had time to high-five the crowd down the finish chute en route to the gold medal. 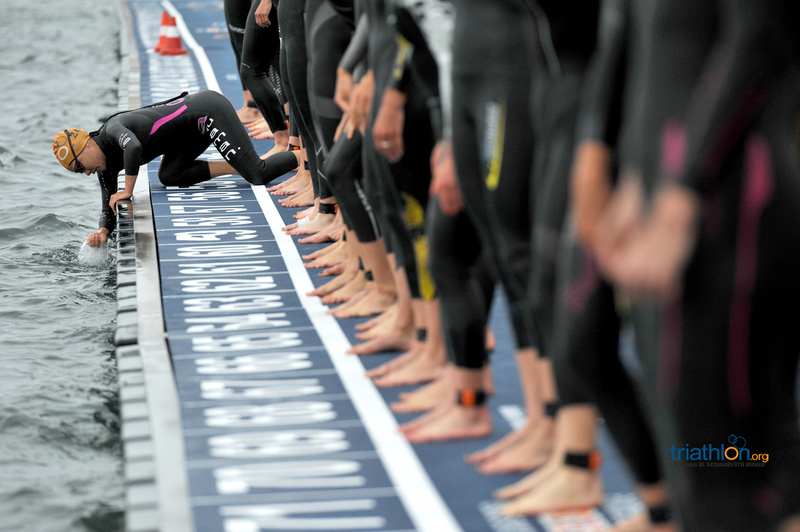 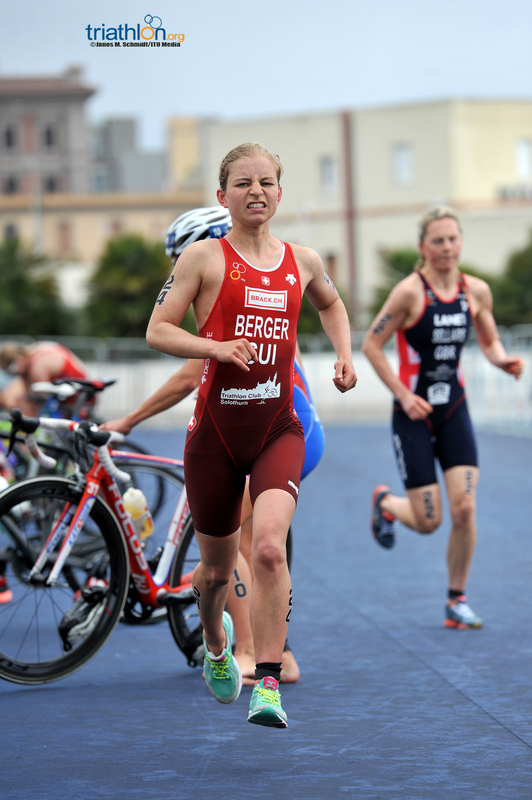 Despite a sluggish swim that, like Lee, required Sieburger to increase her workload early on the bike, the German athlete had enough in her legs to pump out the fastest run split of the day for second place. 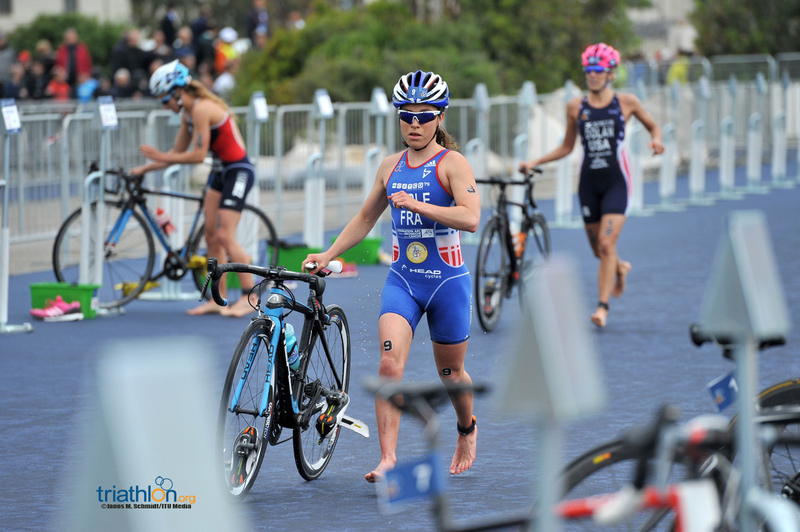 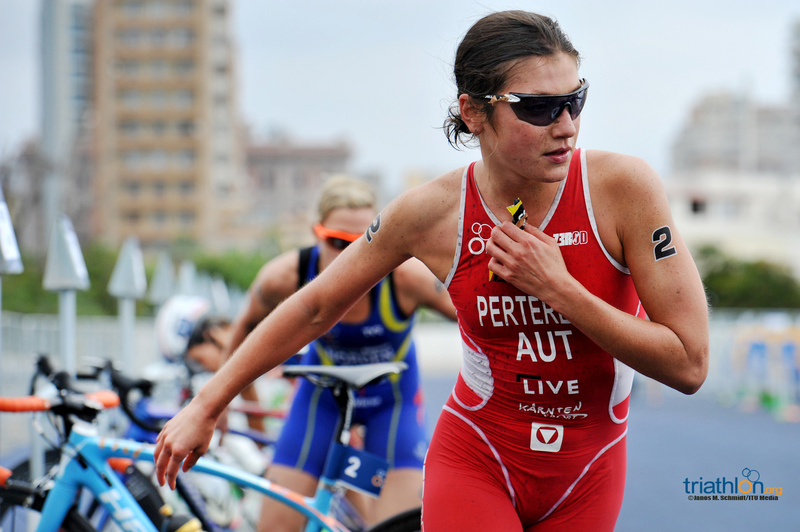 Solid on the swim and bike, Perterer took off after Sieburger with a run speed that saw her collect her second consecutive World Cup bronze medal of the year. 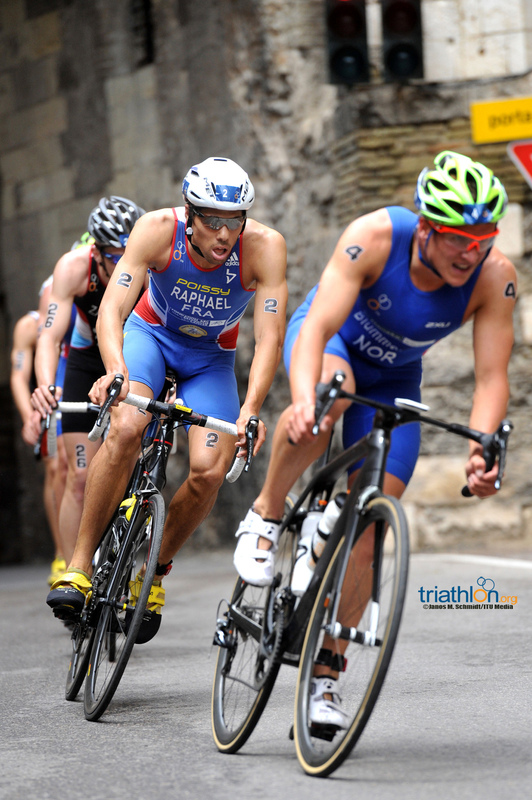 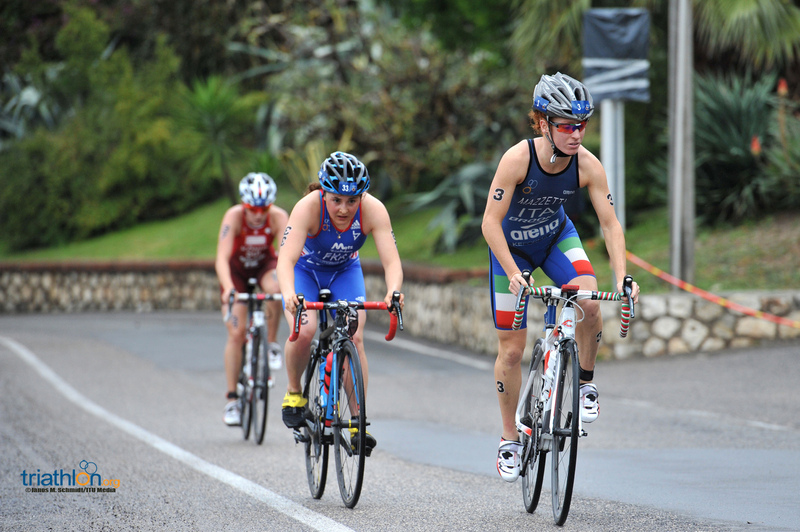 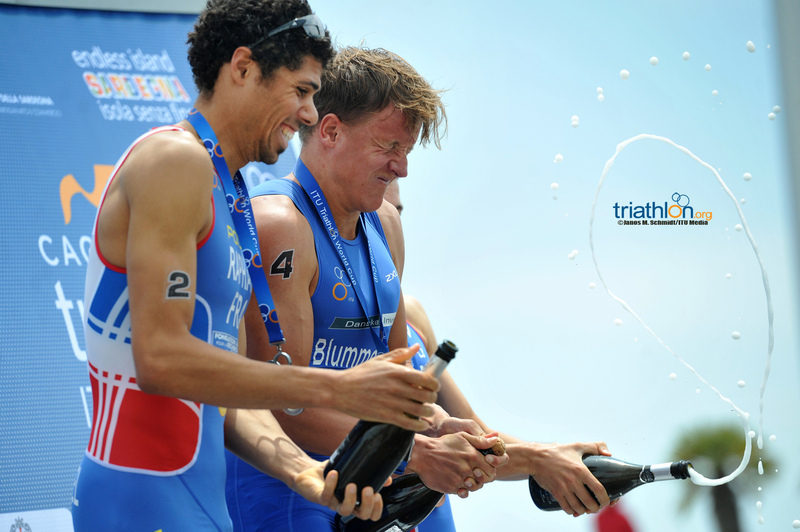 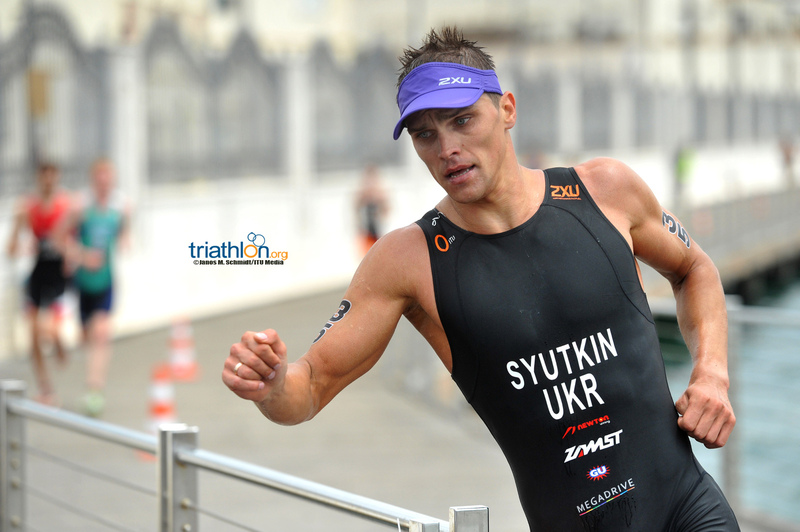 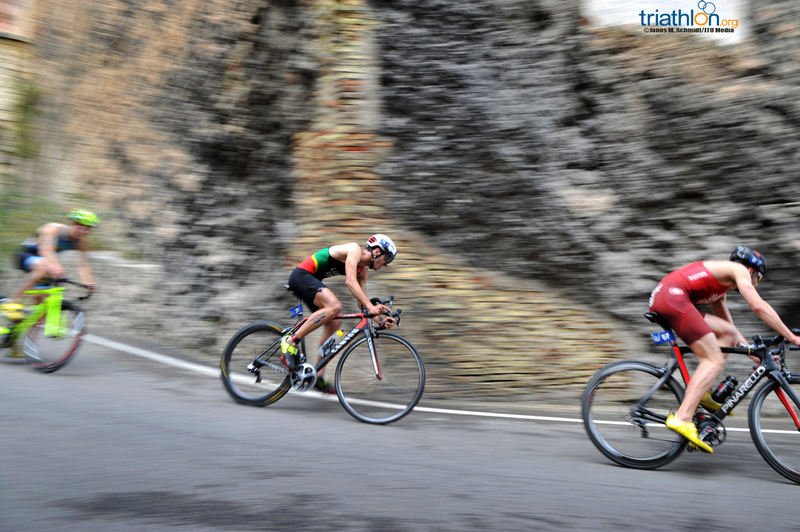 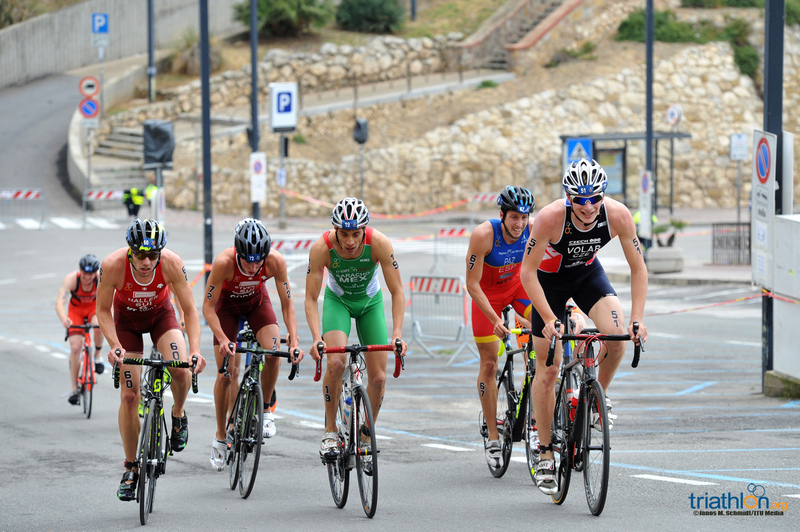 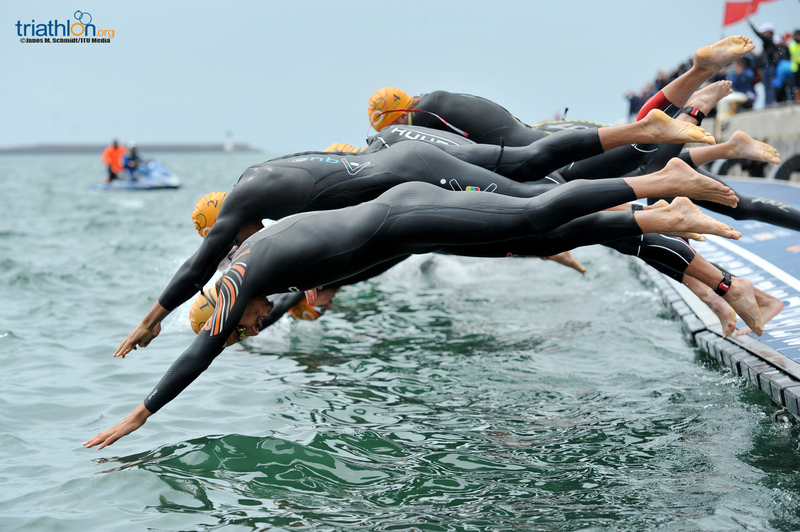 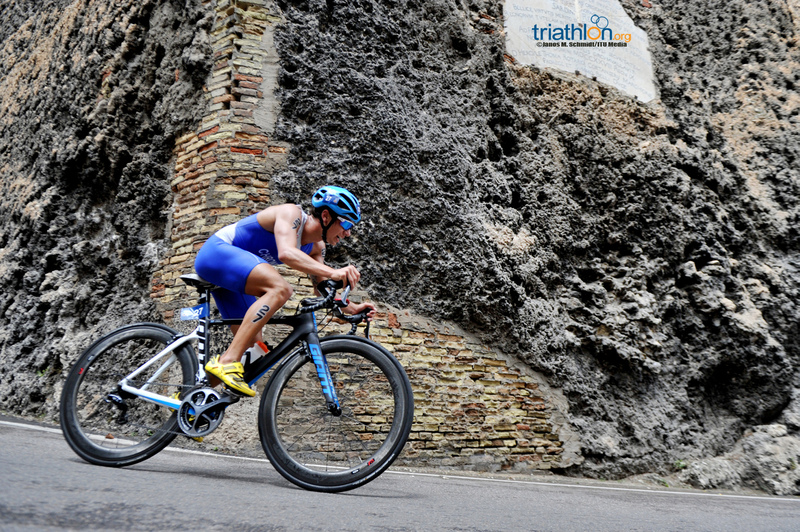 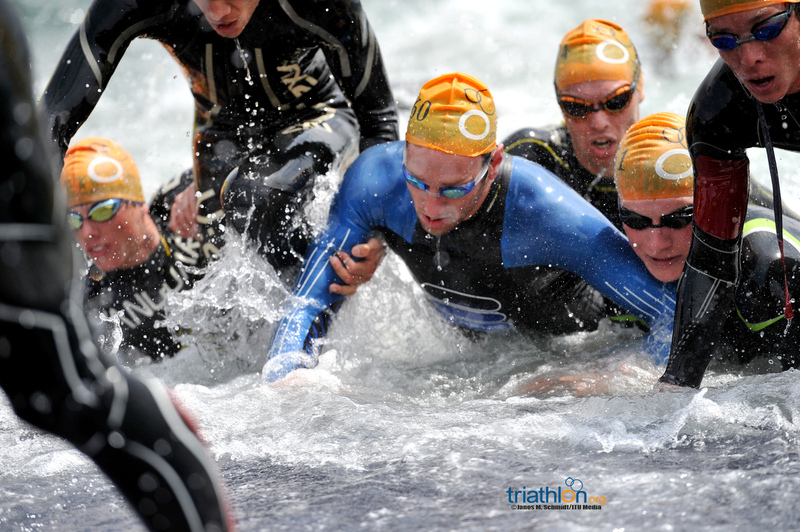 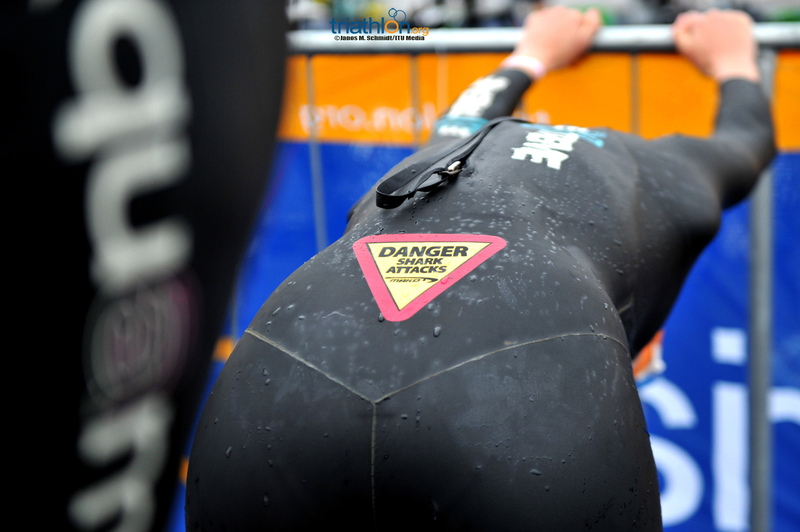 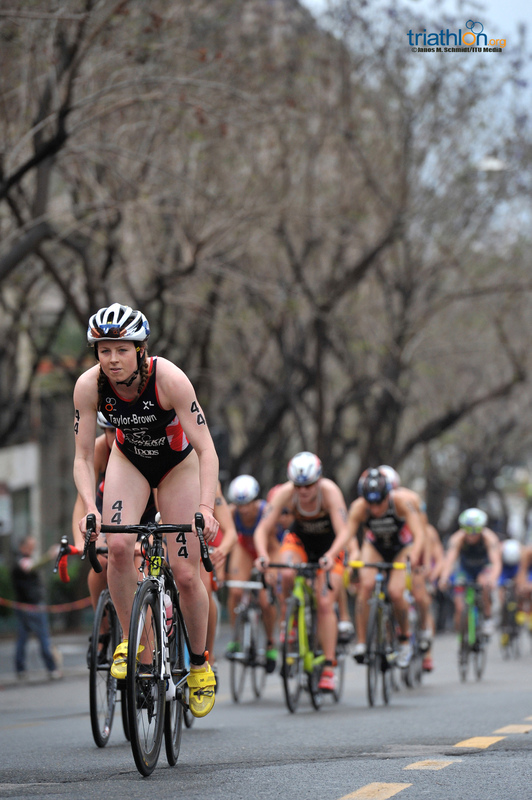 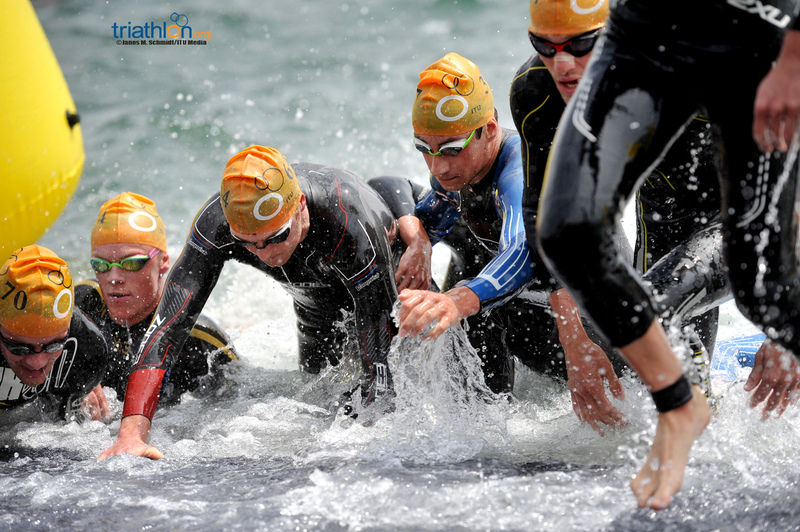 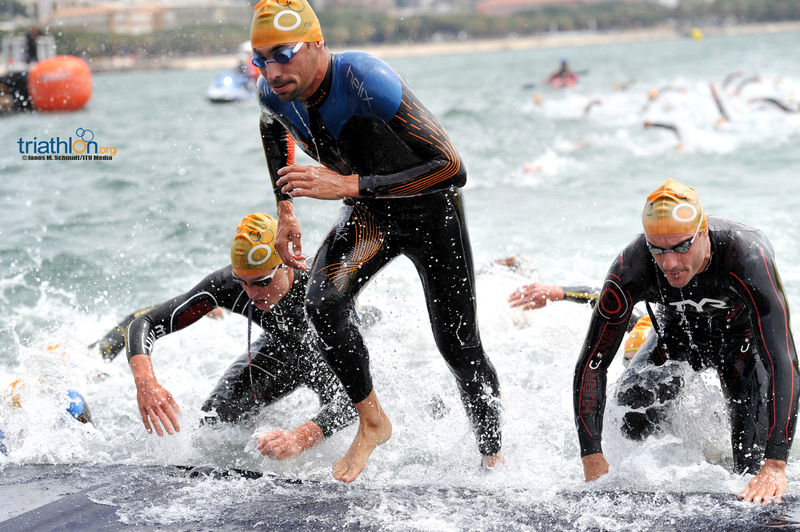 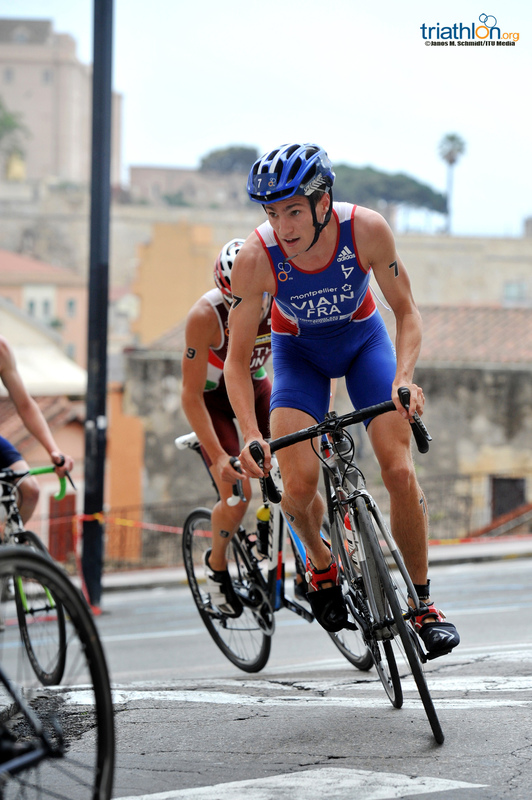 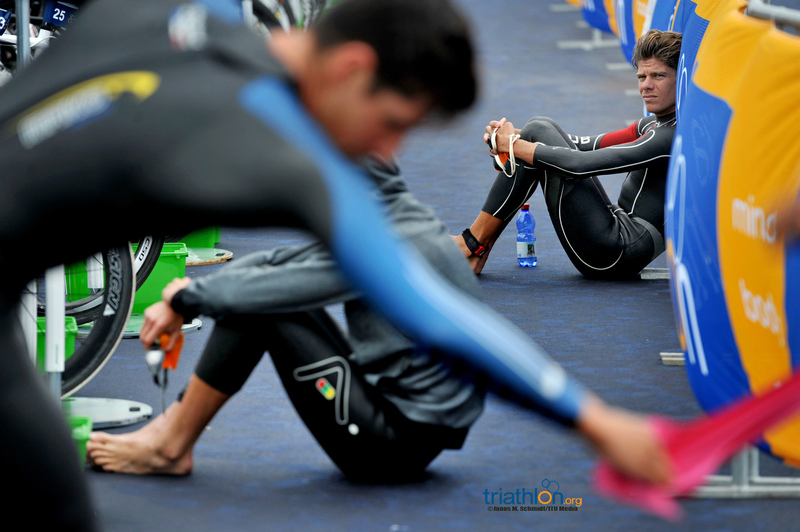 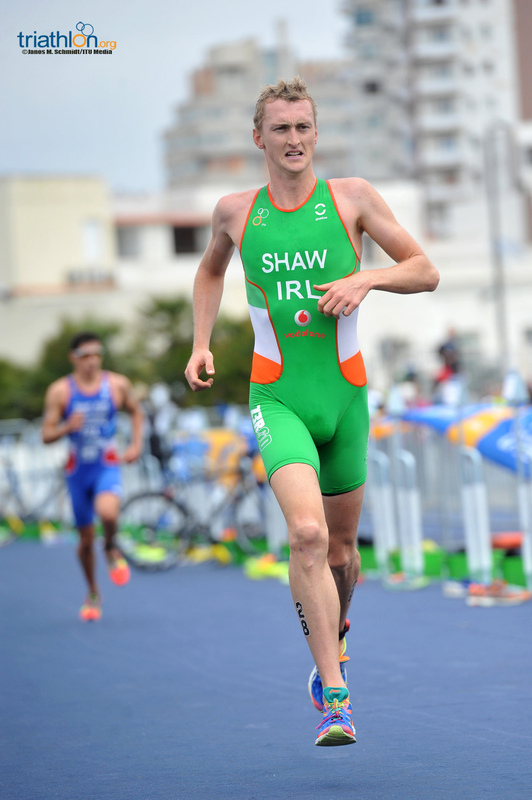 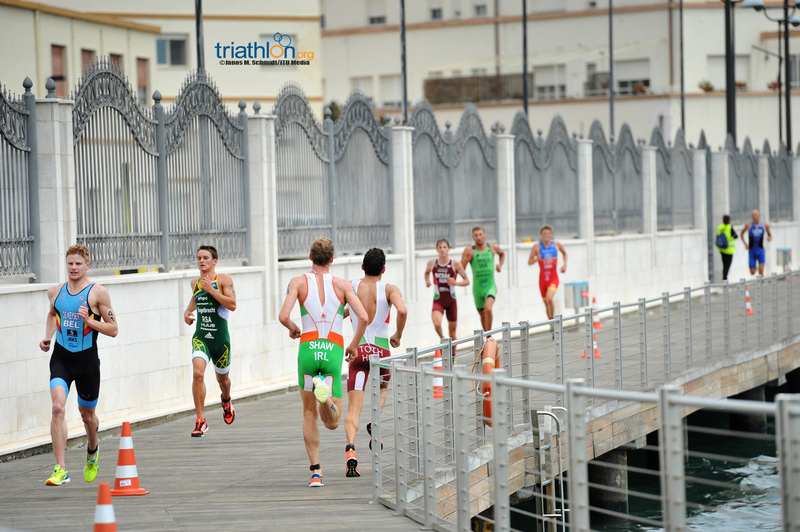 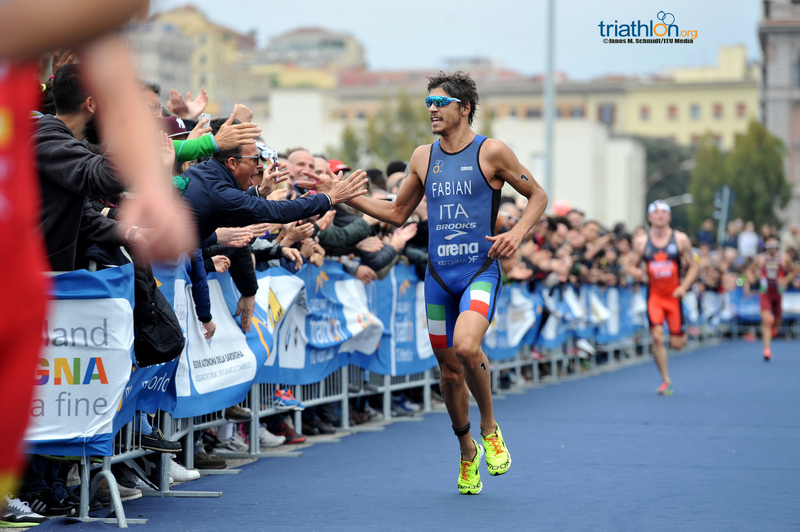 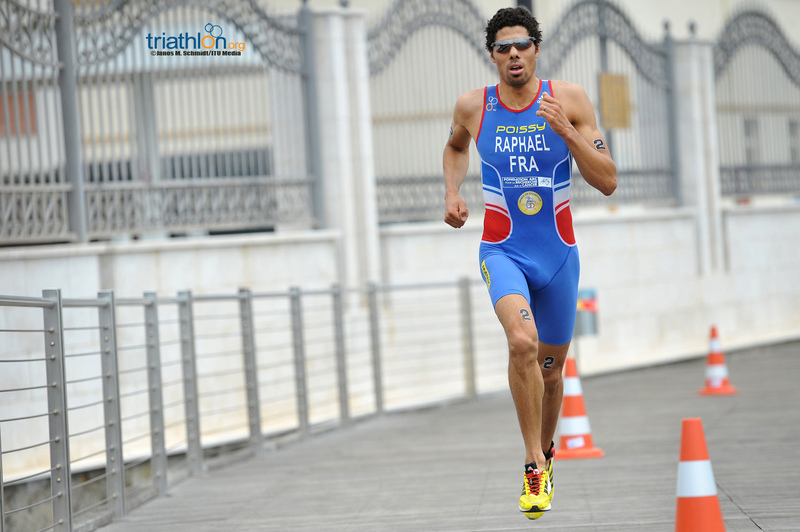 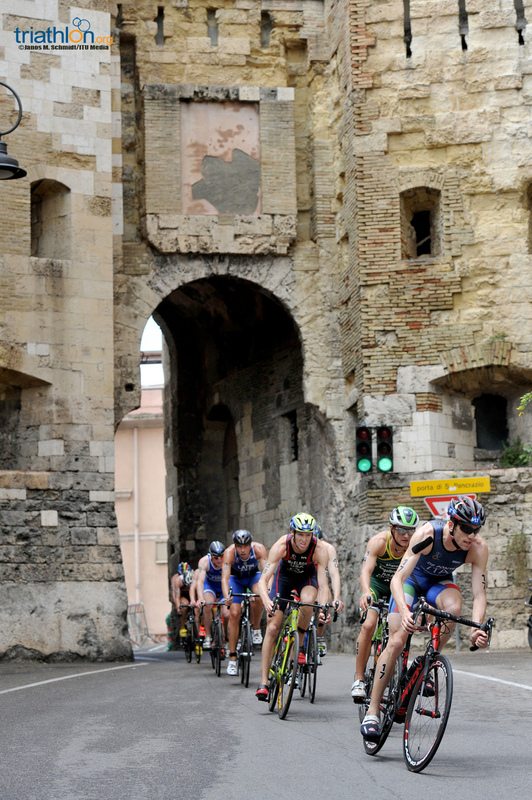 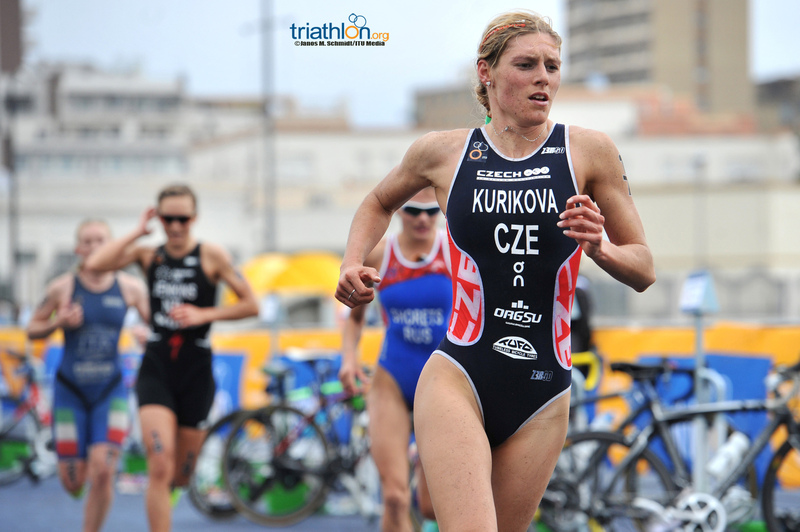 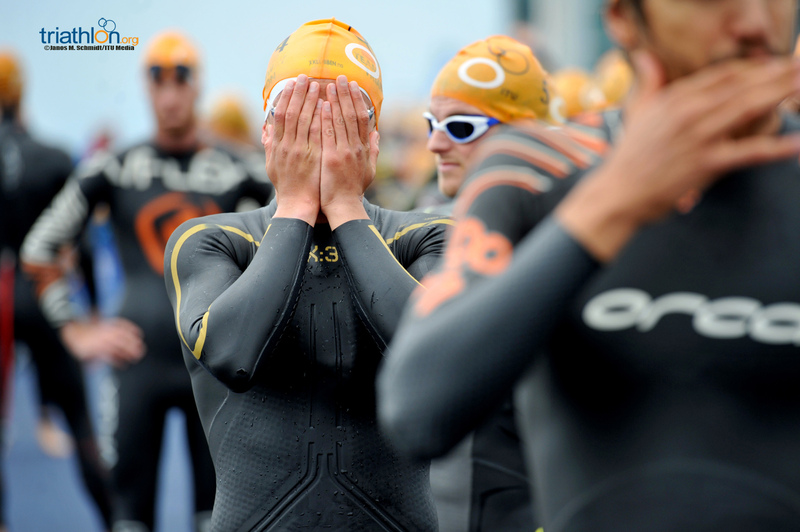 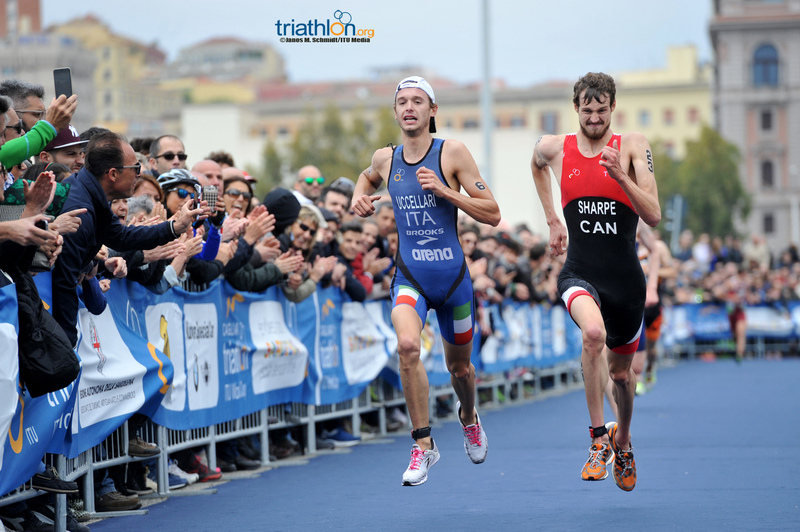 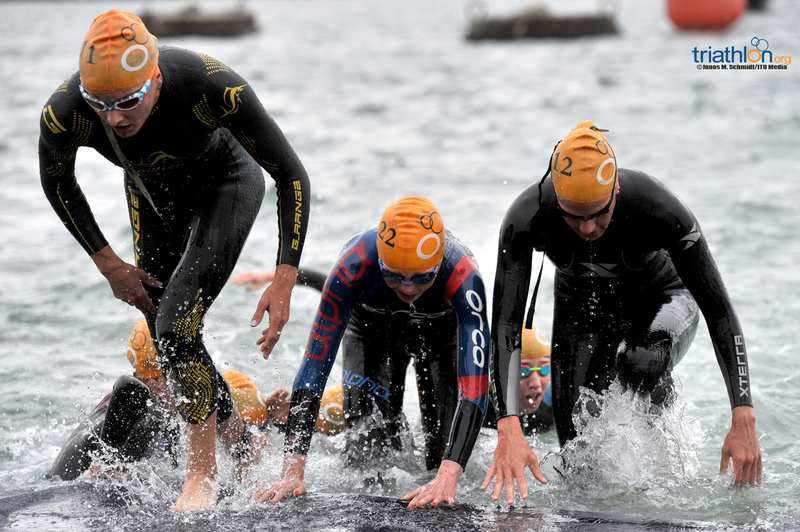 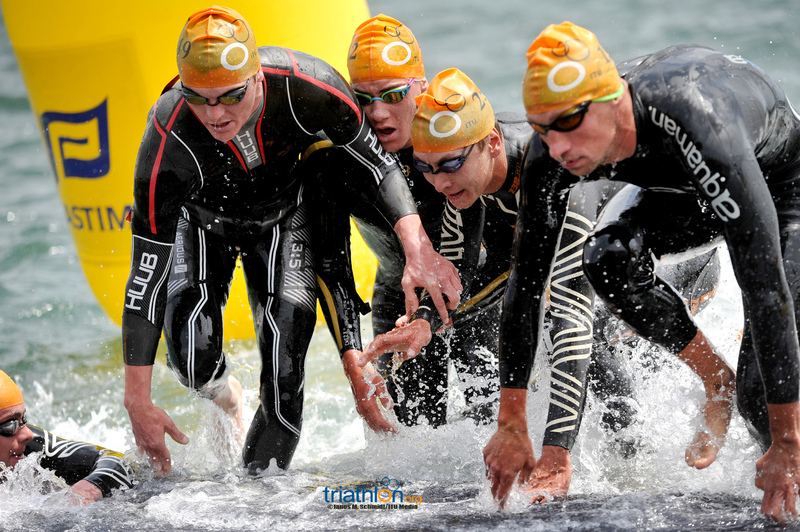 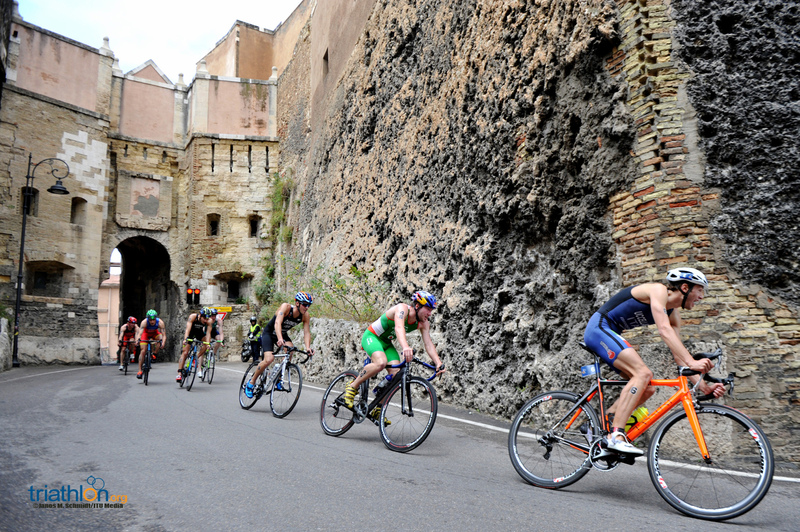 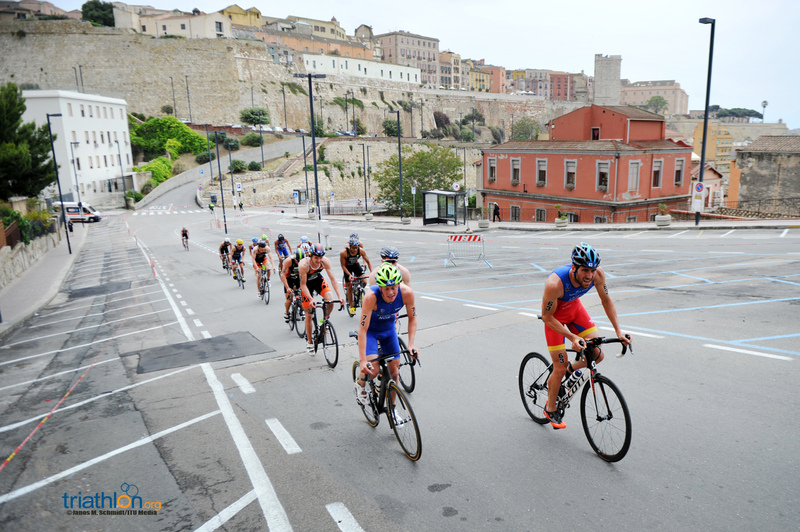 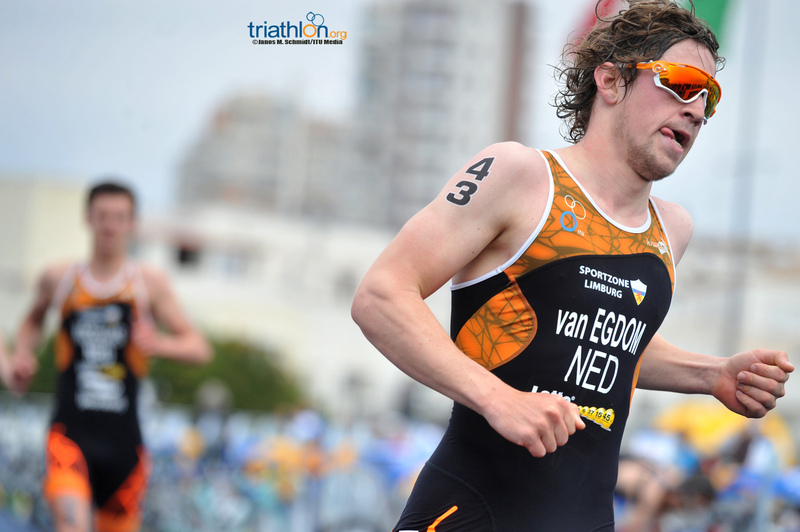 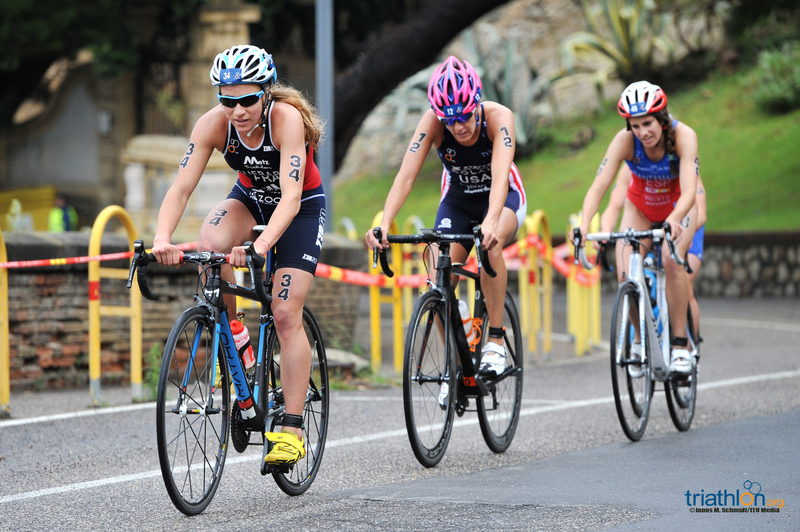 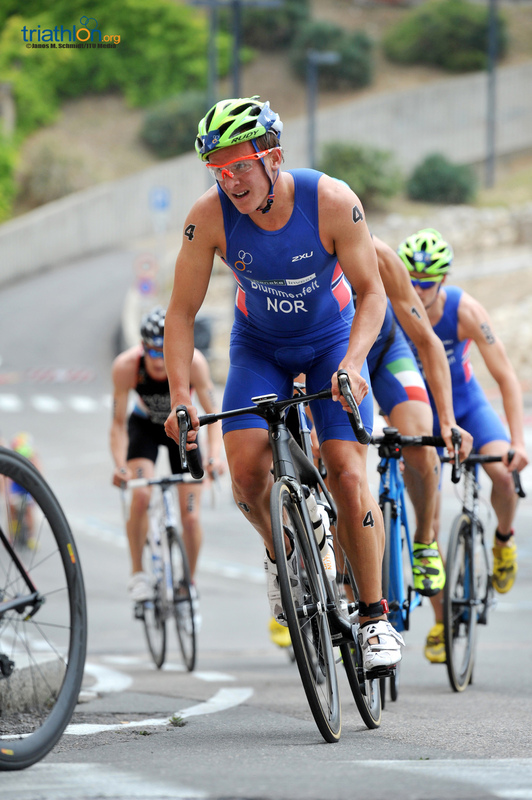 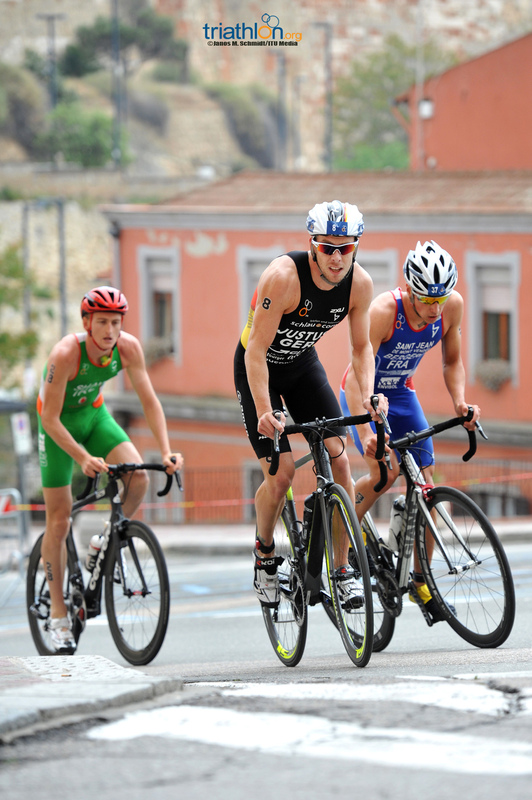 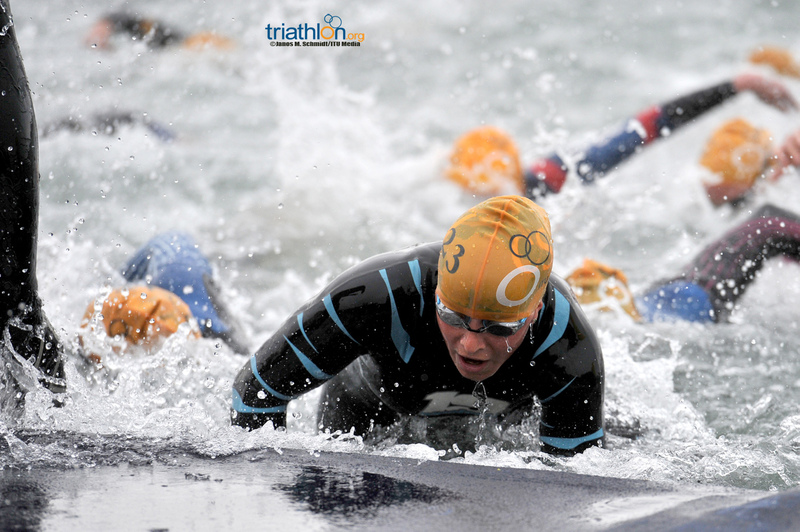 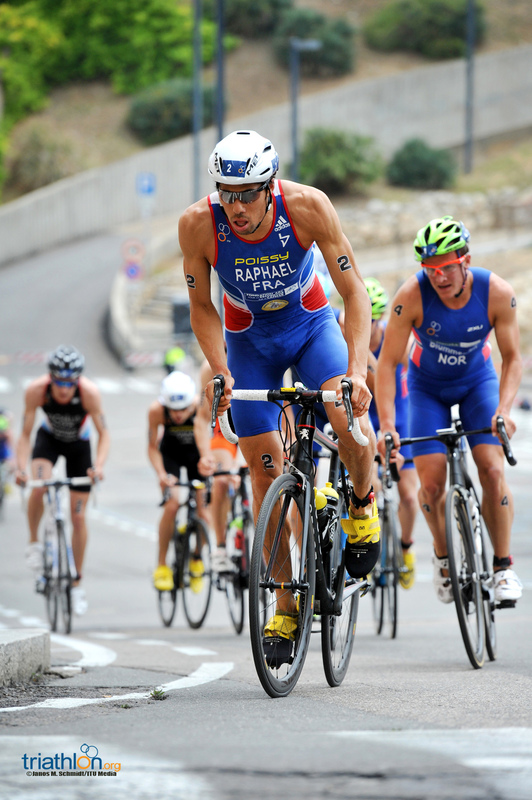 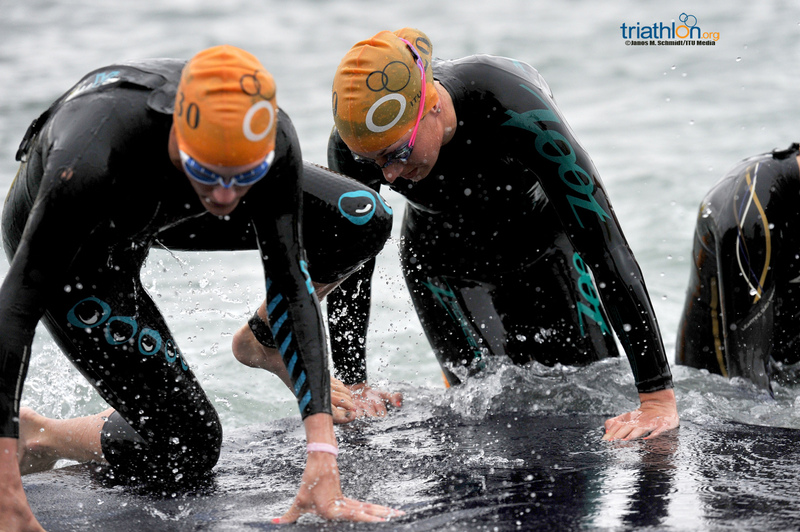 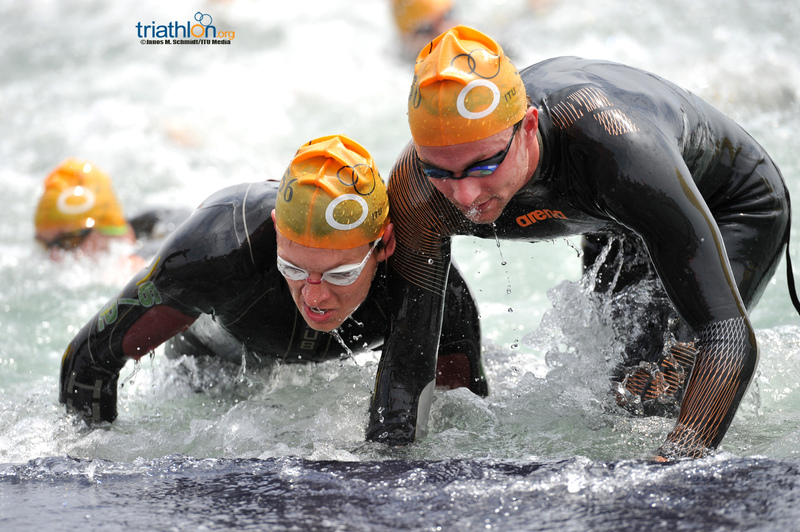 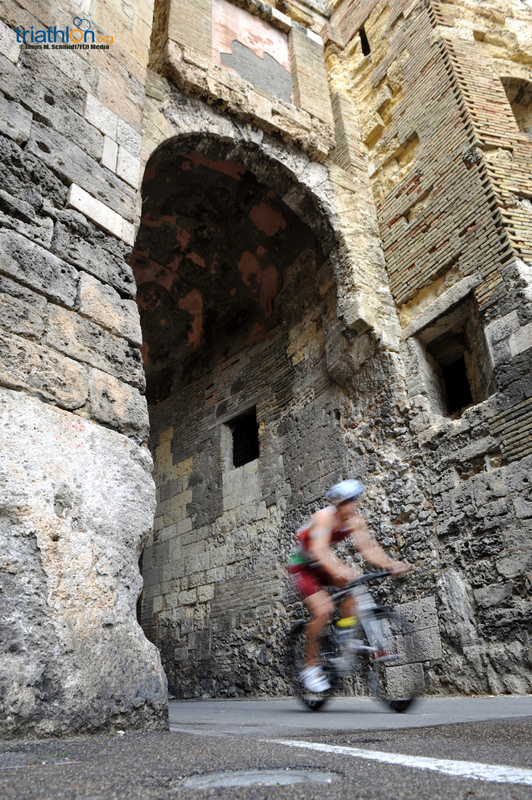 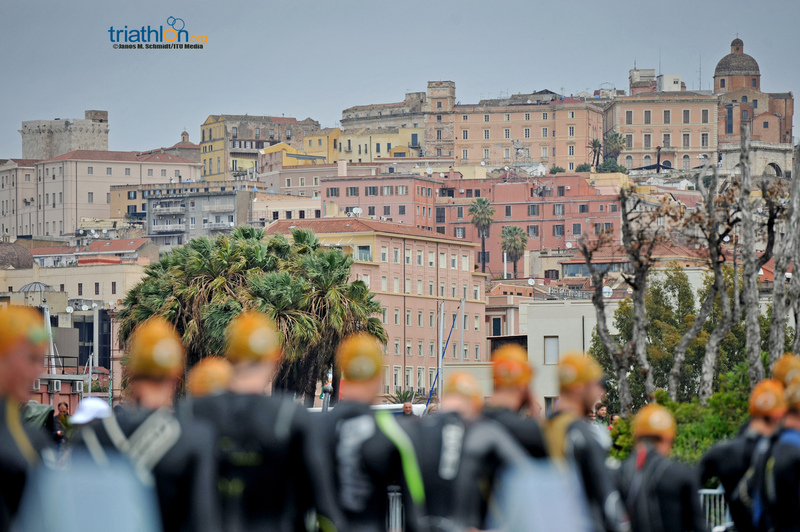 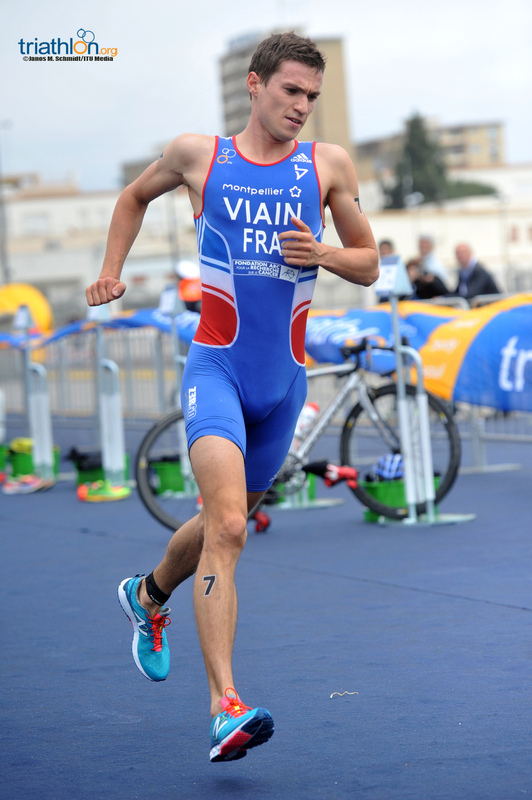 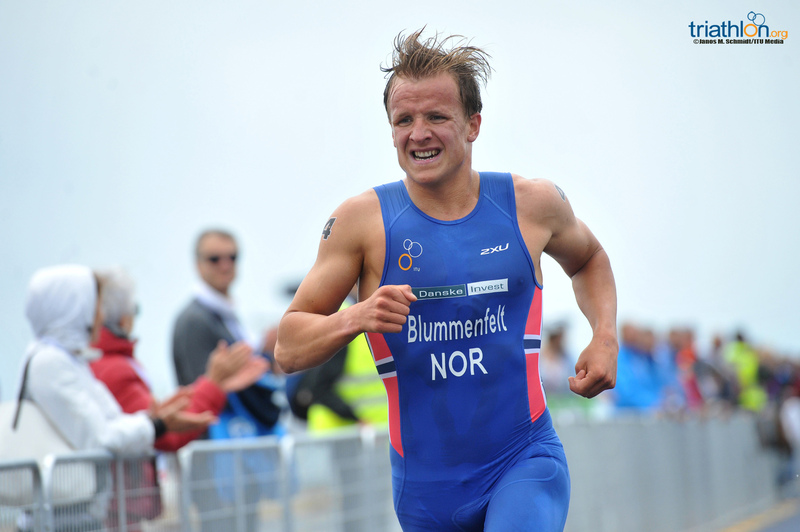 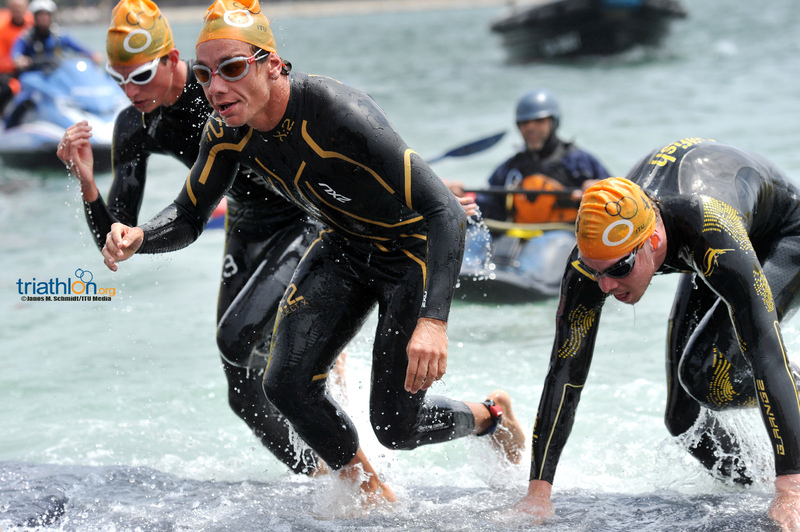 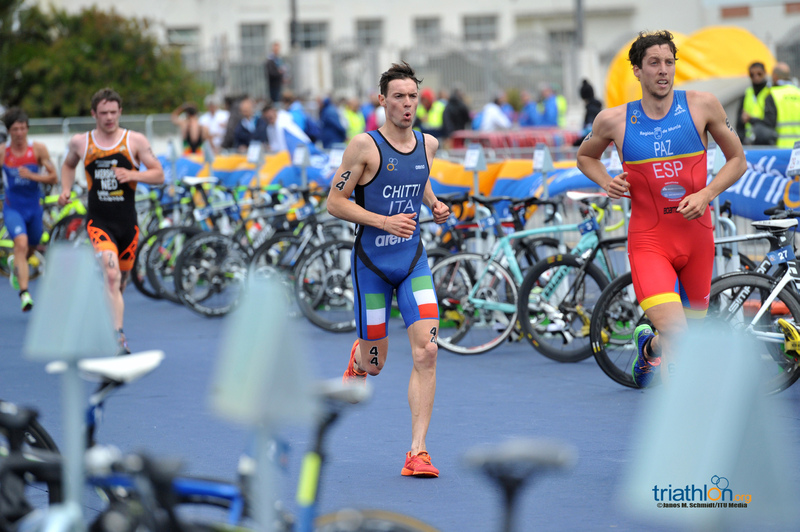 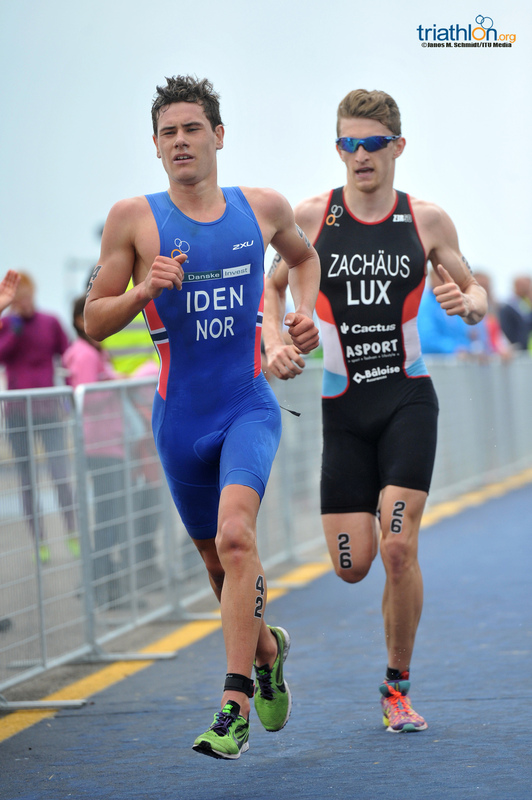 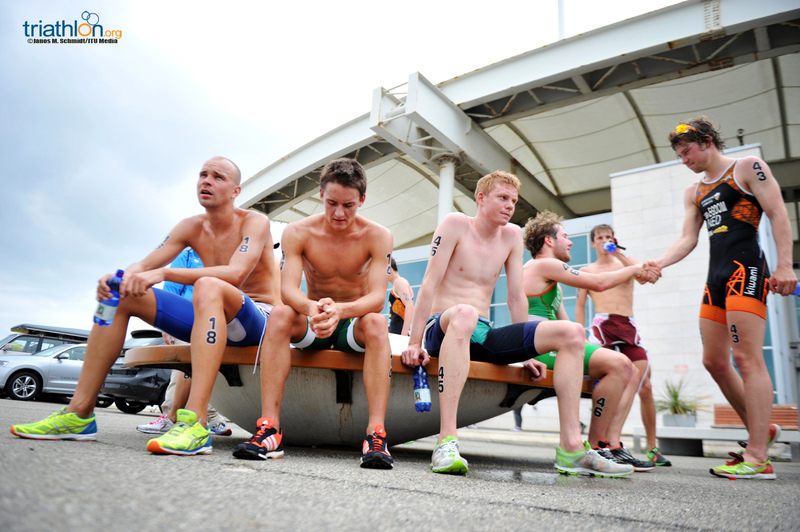 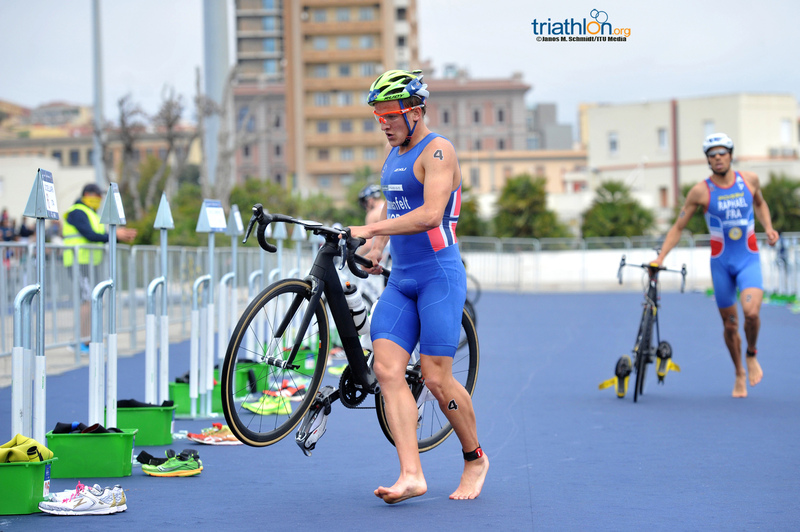 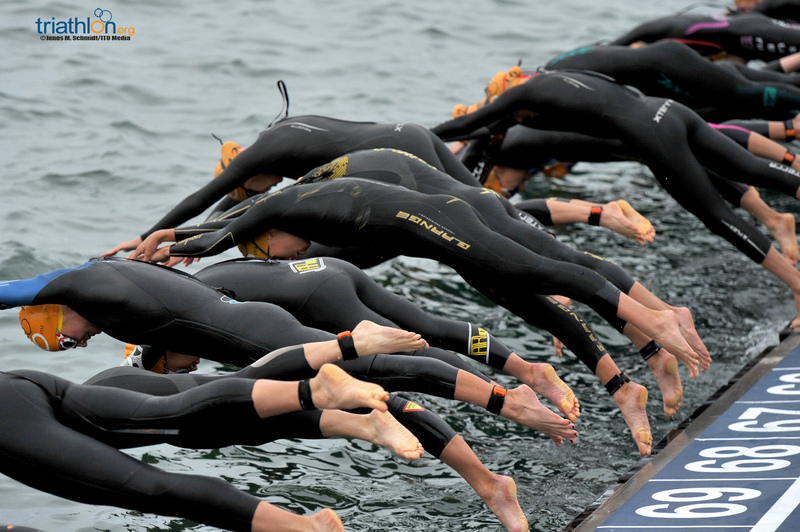 Pressure is at an all-time high to cement spots for the Rio Olympics, as athletes will scramble for final precious points on the Italian island of Sardinia this Sunday at the 2016 Cagliari ITU Triathlon World Cup.